In Victorian Christmas III I touch the quiet heart of the holiday itself. 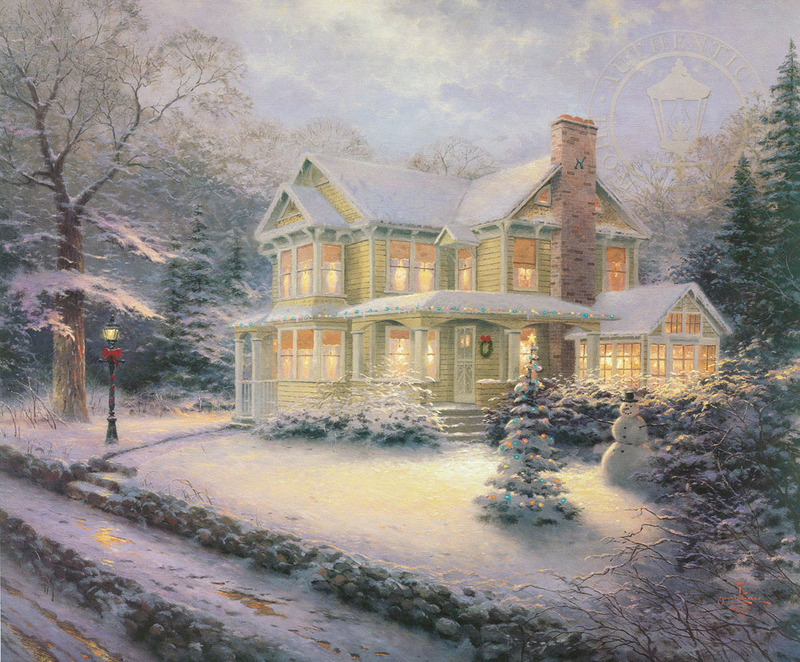 Bowered by stately evergreens and blanketed in new snow, this golden house is aglow with the spirit of Christmas. The silence that graces this lovely Victorian home is the same profound peace that once enfolded a babe in Bethlehem.